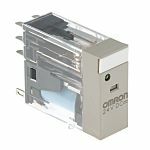 Non-latching relays can also be referred to as an electromechanical relay or an industrial switch. This is because non-latching relays are commonly found within industrial environments and are an electrical and mechanical device. 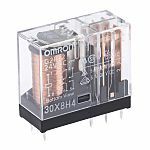 How does a non-latching relay work? 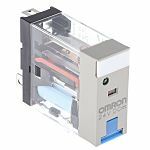 The main function of a relay corresponds to a mechanical switch that has been electrically actuated, these relays are electrically operated switches that rely on mechanical contacts as a switch mechanism. These types of relays are made up of coils and contacts, once a coil is stimulated, the generated magnetic field maneuvers the relay, this then enables the contact to open or close. 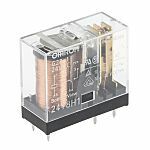 Non-latching relays support a variety of signal characteristics, ranging from low voltage or current to high voltage or current and from DC to GHz frequencies. What is the difference between a latching relay and a non-latching relay? When a latching relay operates its contacts, the relay holds its position, even when the supply of its operating coil has been disconnected. When a non-latching relay operates its contacts, the relay will reset automatically once the supply of its coil is disconnected through the internal spring mechanism.